I'm kind of a double kid. International internet entrepreneur eating subs across the Boston metro region during the week, and then dropping my R's and hanging in Southie with Daddy during the weekend. Let me correct that. Sometimes I hang in Southie on the weekends with Daddy, but it's because I'm white and in my twenties and 90% of this demographic is dug into that neighborhood like ticks. When I'm down there, I need to feed the need, and I'm not talking about sparking up tinder. I need subs. Shawty got a SWEET tooth!!!!!! Joseph's Italian bakery occupies a hefty piece of real estate on the corner of East 4th and K St in South Boston and is known for its subs, cakes, pies, and pastries. Upon entering the family-run joint, you will first meet a friendly smile from one of the friendly employees behind display case containing classic and delicious cakes, pastries, and cupcakes. I felt like telling them it was my born day (like a liar), except I don't think they have the free dessert policy with song like they do at some other lovely, family-oriented eateries. Despite the craving, I passed on the snowman cupcakes and kept it moving to the back of the store. In the back, you will find more friendly employees behind display cases, but now, get this, they replaced the sweets with steaming vats of delicious marinara sauce, stuffed shells, stuffed peppers, macaroni salad, chicken wings, cutlets galore, and other fine Italian staples. Since Dad gotta eat, I ordered both their large Italian with everything and the large chicken farm sub, which came highly recommended by local reader and South Boston resident "Dirty Work" Charles. The Italian comes dressed with tomatoes, onions, pickles, hots, and provolone cheese. Peep the review for the rating and cameo by Pantz Branz a.k.a. Gatorade Branz. For $7.49, the Italian Sub packs a pretty average meat game into a soft sub roll. It's heavy on the mortadella. The toppings here really detract from the sandwich. While the marinara sauce looks and tastes great, the tomatoes on the Italian are almost sauce like. It leaves an odd taste in the mouth. Besides the tomato-sauce chunky tomatoes, the other toppings are all rather thick-cut and middle-of-the-mall. Ain't no country for tomato sauce. At $8.49, the chicken parm, on the other hand, is delicious. If you're in the market for a massive sub loaded with chicken cutlets dripping in red sauce and cheese, then Joseph's got you. "Dirty Work" Charles definitely knows what he's talking about, but the guy lives in filth and slime so he certainly knows a thing or two about gooey substances all over his hands and face. Then again, so do all the dirty dudes and dolls, but that's neither here nor there. 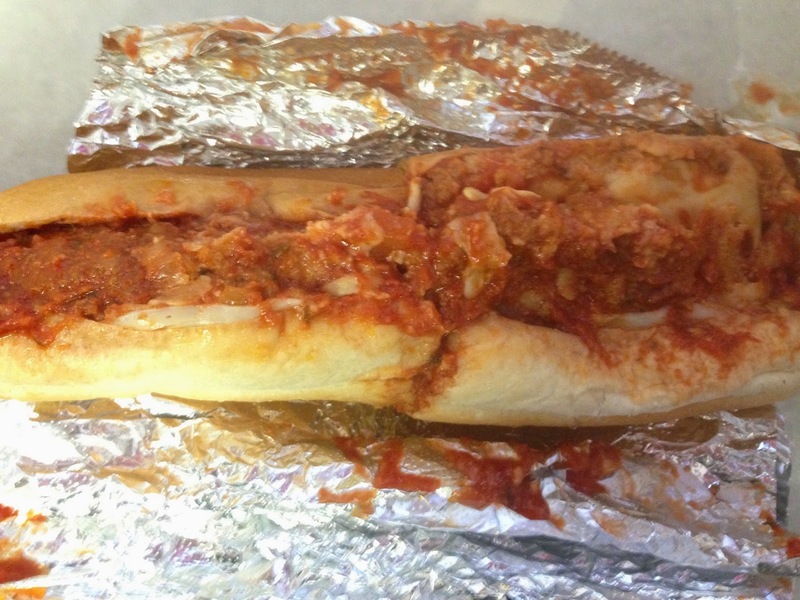 If the chicken parm is any indicator of their other dinners and hot subs, then stick to those options on the menu. Joseph's is the type of place that would be perfect to order for a kid's birthday party, high school graduation, or any family function where you invite the whole family for buffet-style Italian cuisine and a classic, traditional frosting cake afterwards. 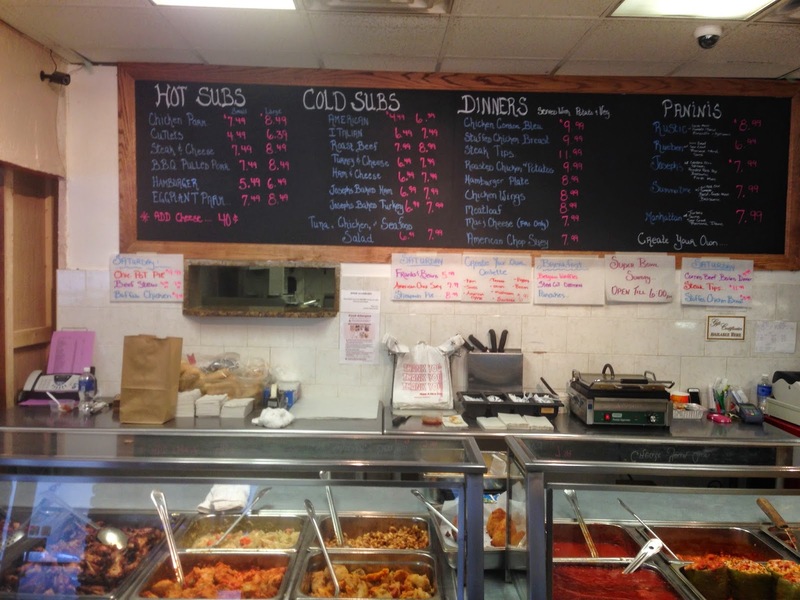 Its nostalgia, friendly staff, fair prices, and heaping hot subs are top notch despite a lackluster Italian. Come in for the cakes, stay for the (hot) subs.